At the UFC 236 weigh-ins, all 26 fighters taking part in Saturday night’s UFC 236 fights will step on the scale Friday, and we’ll have the live video here at MMA Fighting. 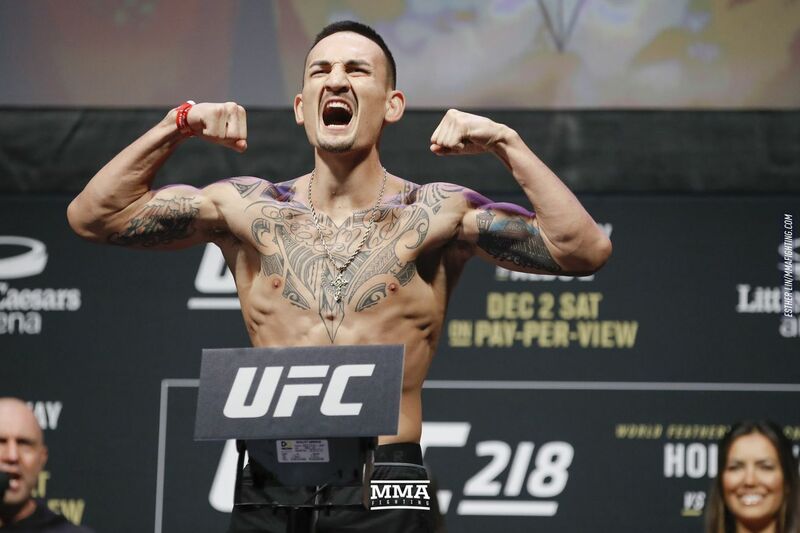 In the main event, UFC featherweight champion Max Holloway and Dustin Poirier will have to make the lightweight title limit of 155 pounds. The UFC 236 official weigh-ins will be at 9 a.m. ET, and MMA Fighting will carry it live. The UFC 236 ceremonial weigh-ins will be at 1:30 p.m. ET. The UFC 236 weigh-in results are below.